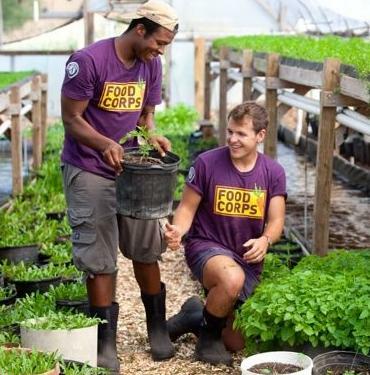 FoodCorps, a national organization that works to address food issues in underserved communities, has called for applications for its second annual class of service members. The organization will be hiring up to one hundred people for positions in 12 states across the country. The 2012 corps will work full-time for one year in school food systems, expanding hands-on nutrition education programs, building and tending school gardens, and sourcing fresh, healthy, local food for school cafeterias. So far, Foodcorps workers have reached over 20,000 children across the country. This year the program has added two states–Connecticut and Montana–to the ten already served by the program–Arizona, Arkansas, Iowa, Massachusetts, Maine, Michigan, Mississippi, New Mexico, North Carolina, and Oregon. Applications for the 2012 corps are due March 25th. You can get more information by visiting their website.